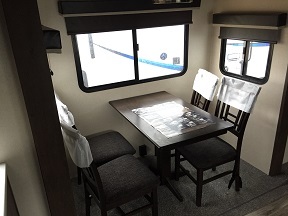 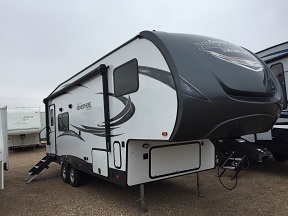 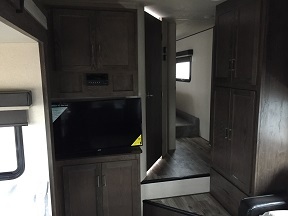 This 1 slide fifth wheel is perfect for couples who want a small package but with a ton of storage. 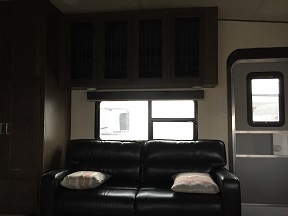 This unit features a rear kitchen layout with a private front bedroom and bath. 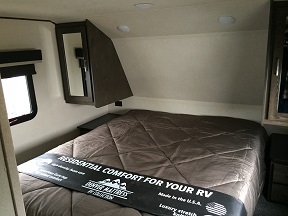 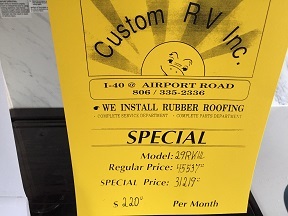 Setup is a breeze power leveling, slideouts, awning, and even your gas and electric water heater. 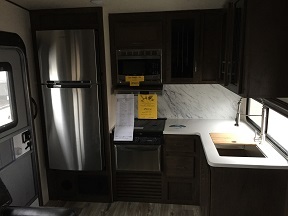 This unit features an awesome kitchen with a 11 cubic foot refrigerator and tons of cabinets and prep space. 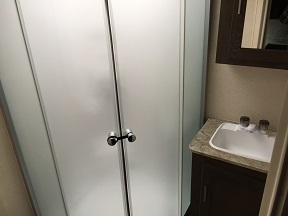 This unit also has a large bathroom and a good sized master bedroom.